Multi-cloud, as the name suggests, is the usage of multiple cloud services, often from different providers. The reasons for enterprises to choose a multi-cloud strategy can be varied. While some adopt this technique to achieve higher performance, some seek to lower costs, and others try to cull out the best features from each service. No matter what the end objective is, multi-cloud services would very soon become the practice of the hour. With the large-scale adoption of this new technique, comes the risk of security threat to enterprise data and IT infrastructure. In order to make the most out of multi-cloud strategy, it becomes essential for business owners to take preventive measures and safeguard their vital site data. With a network of cloud services, you cannot possibly monitor all of them simultaneously. More so with cyber threats on the rise, you cannot afford to risk any data or resources. That is why you need to ensure the visibility of all network endpoints with tools like SIEM (Security, Information, and Event Management) solutions which monitor and log all responses and flag any indication of threat. A lot of your cloud security status depends on the kind of cloud service provider that you employ. Also, not all cloud platforms are designed alike. 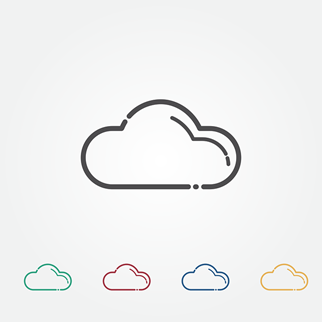 Depending on your business need and data sensitivity, you can choose your cloud platform. For instance, if you have a data-driven business which involves vital information about your clients, you should be in a private cloud which is more secure than a public cloud. Before finalizing on your service provider, assess their Cloud Hosting security, cloud service safety etc. so your IT architecture lies in safe hands. With a highly elastic cloud environment and with multiple hosts, the traditional security solutions are likely to be insufficient. That is why you need to adopt an integrated security framework which includes but is not limited to antivirus, anti-malware, smart firewalls, and advanced security tools, that will tighten your network security measures. Automation largely reduces security threats in a multi-cloud environment. Automating repetitive security actions will help reduce error margins and develop a mechanism to respond to any threats or attacks. While cloud service vendors do their bit to ensure that you work in an efficient and safe cloud environment, the ultimate responsibility of your data, applications, systems, and other resources lies on you. More soon public clouds, where there are multiple users which can create blind-spots for the vendors or for you. To effectively work on multi-cloud, you need to take control of access and management of all platforms. Multi-cloud is still a new practice and there is no failsafe method to successfully work on such environment yet. Till experts come up with more advanced security solutions for multi-cloud, you can adopt these techniques and experience the best of various cloud environment without having to worry.